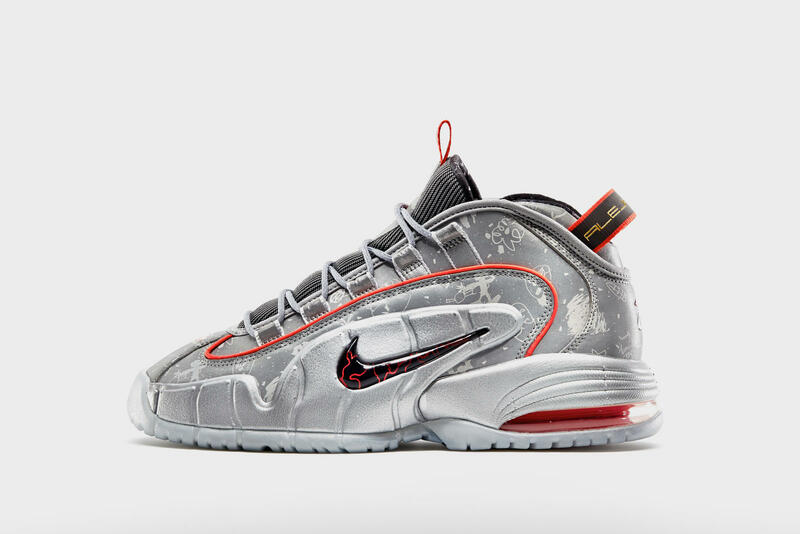 Nike Air Penny 1 Doernbecher Release Date is November 23rd, 2014. Alejandro Muñoz was born with kidneys that have never worked well and eventually will fail. He spent his first 12 days of life in the Neonatal Intensive Care Unit (NICU) and trips to OHSU Doernbecher have become a frequent part of his life. He now takes five different medicines and gets a shot every Monday. He has his blood drawn every three to four weeks. That means he has been stuck with needles more than 100 times in his life. His blood tests show that his kidney function is always just a little too good to qualify for a kidney transplant, but not good enough to put their worries to rest. In the meantime, Alejandro is a typically feisty and active 8-year-old boy. Last September he broke his arm when he fell off the top bunk while playing tag. He likes to play Power Rangers with his sister and brother, and he loves the San Francisco 49ers. He’s a good sport, and youth is his superpower — it protects his spirit. He’s now an avid flag football player, because while he might not be able to tackle on the gridiron, he will tackle whatever life throws at him. 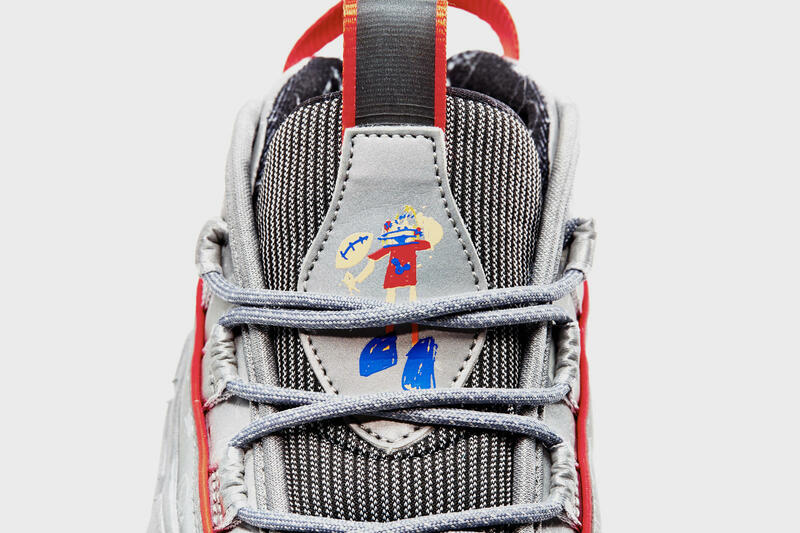 Alejandro’s heroic spirit comes to life in his design of the Air Max Penny, which is inspired by his love of football. 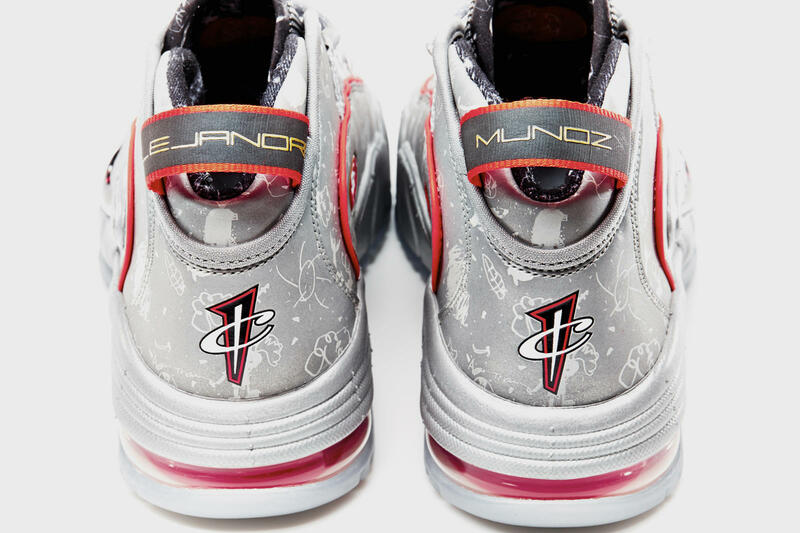 His personal drawings and designs are imprinted over the reflective base of the entire shoe, with a self-portrait on one of the tongues. He included a cool transparent outside with a glow-in-the-dark Swoosh and his name across the back of both shoes. 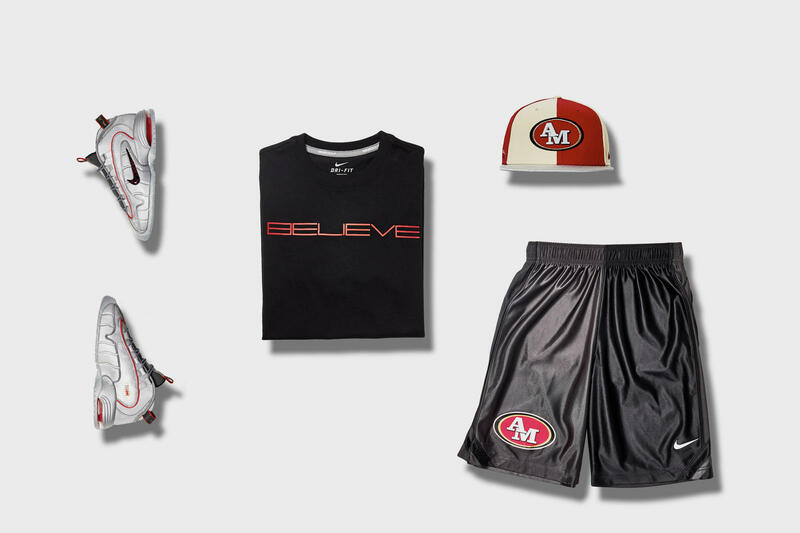 Alejandro’s collection also includes shorts, a T-shirt and cap with his custom “AM” logo on each.